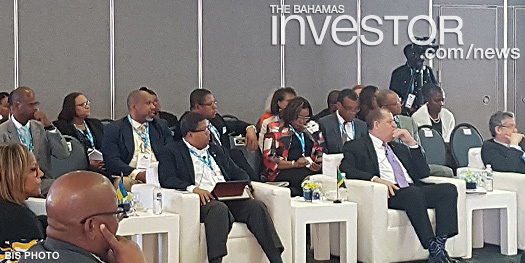 Deputy Prime Minister and Minister of Finance Peter Turnquest, in his capacity as one of the Governors of the Inter-American Development Bank (IDB), attended the 7th Annual Consultation Meetings with Caribbean Governors of the IDB held in Kingston, Jamaica,February 26-27. 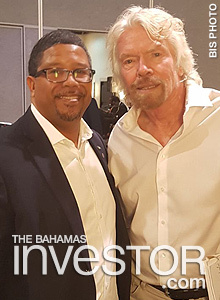 The DPM participated in a panel discussion led by Sir Richard Branson and IDB President Luis Alberto Moreno. 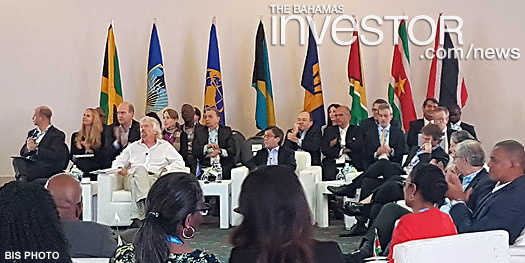 The discussions centred on climate change developments and how technology can impact climate resilience as countries contemplate rebuilding and infrastructure planning in a more sustainable way. In the afternoon, DPM Turnquest participated in a second panel discussion led by Andrew Holness, Prime Minister of Jamaica, and Toomas Hendrik Ilves, former President of the Republic of Estonia, on the importance of embracing the digital revolution and the benefits technological advancements can have on developing states including the ease of doing business and reducing high and low level corruption. DPM Turnquest earlier in the day held bilateral discussions with Former President Ilves where they discussed Estonia’s e-Governance model, available technology, implementation challenges and technical resources available to assist The Bahamas move forward with its plan to digitize its governance infrastructure, particularly those functions affecting efficient service delivery to the public. 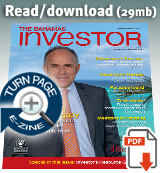 Fintech firm TigerWit, which is licensed in The Bahamas, has announced that it has secured a $5 million investment from US technology investment firm Susquehanna International Group (SIG). This capital will enable TigerWit to further advance its mobile-focussed trading technology and invest in new innovative technologies.